Smith read Theatre Studies at Trinity College, Dublin graduating in 2000. He founded Rogue Shakespeare® in 2001 with the debut production of his first verse play, Sweet Love Adieu, in the ruins of the Roman Amphitheatre in St. Albans, England. Since then Smith’s verse plays have received numerous 4 and 5-star reviews, nominations and awards via stand-out productions across the world. Highlights include: 2005 Smith received an Arts Council England award for his critically-acclaimed 3rd verse play, Love Labours Won, which stunned critics and audiences alike at the Edinburgh Fringe in 2006 and 2007. In 2008 he was nominated for the Amnesty International Freedom of Expression Award for his 4th play – the politically daring one-man show, New World Order, which premiered at the Edinburgh Fringe and subsequently toured Australia. In 2012 his fifth short film, The Poet Cursed, written in Smith’s unique rhyming verse, was selected for the Short Film Corner at the Cannes Film Festival, and was also an official selection at 7 other international film festivals. In 2015 he played the lead in the US premiere of his Love Labours Won. This production won the highly coveted International Award and an Encore! Producers Award at the Hollywood Fringe Festival. In 2016 he repeated and expanded upon this success by concurrently playing the lead roles/directing/producing both the world premieres of his 5th verse play, MacDeth! – which won both the International Award and an Encore! 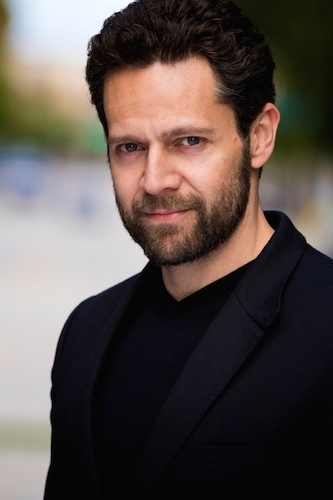 Producers Award and was also nominated for the Comedy Award at the Hollywood Fringe Festival – as well as a rewrite of his 1st verse play, Sweet Love Adieu, which was also nominated for the Hollywood Fringe International Award (losing to Smith’s ‘MacDeth!’). Alongside his verse plays, Ryan has written over 1,700 Shakespearean sonnets – the first 500 of which were published in 2012 in the critically acclaimed volume, ‘500 Shakespearean Sonnets’. A festival-winning filmmaker, Ryan has written, directed and produced 5 short films and 2 feature documentaries. Collectively, Smith’s films have received 25 international film festival wins, nominations or selections. Smith is also the composer and recording artist, IMBIBE. Smith is also currently in Law School studying for his Master’s in Law. Olivier Award-winning and Tony-nominated West End and Broadway producer, Bradley R. Bernstein began producing with Rogue Shakespeare® in 2015 with Smith’s award-winning production of his Love Labours Won. Mr Bernstein’s extensive previous producing credits include: ‘Summer And Smoke’ starring Rosamund Pike (Apollo Theater, 2006); ‘Brand’ starring Ralph Fiennes (RSC 2003/ Theatre Royal Haymarket, 2003); ‘Lady Windermere’s Fan’ starring Vanessa Redgrave and Joely Richardson (Theatre Royal Haymarket, 2002); An Inspector Calls’ directed by Stephen Daldry (The Playhouse Theatre, 2001); the Olivier Award-winning ‘Jitney’ by August Wilson (Royal National Theatre, 2001), and ‘Amadeus’ starring David Suchet and Michael Sheen, directed Sir Peter Hall (Broadway, 1999, – two Tony nominations/Best Revival and Best Leading Actor).